Johannesburg – White South African farmers have started fleeing the country in anticipation of the country changing its constitution to allow for the expropriation of land without compensation. The Southern Times has learnt that farmers from South Africa’s Free State province, which predominantly housed Afrikaner farmers, are fleeing the country to destinations as far as cold Russia. They claim their lives are in danger back home. Their “Great Trek” (Afrikaans for great move) comes at a time when the issue of addressing land distribution imbalances in South Africa is gathering momentum. Media reports say some white farmers have already moved to settle in Russia’s farm belt, Stavropol Region. Russia Today television recently reported that a delegation of 30 South African farming families arrived in the Stavropol Region with the group apparently saying it is facing violent attacks and death threats at home. A group of 15,000 farmers are reported to have offered their services to Russia and will also invest their savings and offer English lessons as well for citizenship. The South African farmers, who relocated, say they believe that Stavropol has a great climate for farming, adding that each family will contribute at least R1.4 million towards leasing land in Russia. These costs will also kick-start their farming efforts. According to another Russian TV station, Rossiya 1 TV, the 30 farmers who are already in Russia were from South Africa’s Free State. “A delegation of Boers arrived in Stavropol with a proposal to open a migration channel. The farmers are primarily from the Free State,” said Rossiya 1 TV. Reports from Russia say South African farmer, Adi Siebus, told the Russian delegates who welcomed them at the airport that they view their move to Russia as a matter of life and death. Siebus added that South African politicians have allegedly been stirring up hatred amid a wave of violence. Siebus’s allegations, however, contradict the latest report released by agricultural industry body, AgriSA, in June which showed that farm murder rates were at their very lowest in the past 20 years. The stats from AgriSA show that 47 people were murdered on farms between 2017 and 2018, and a total of 561 farm attacks occurred in this time period. The highest number of farm murders occurred between 1997 and 1998, where 153 murders were recorded, while the year with the highest number of recorded farm attacks occurred between 2001 and 2002. This specific year saw 1,069 attacks take place. Efforts by The Southern Times to get a comment from South Africa’s Department of Rural Development and Land Reform were fruitless by the time of going to print. 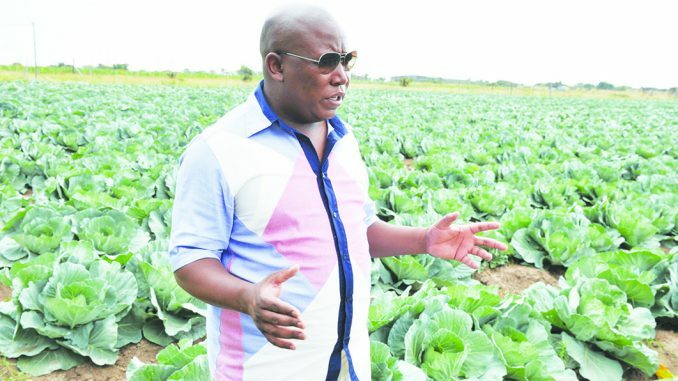 The outspoken leader of the Economic Freedom Fighters, Julius Malema, has been the strong voice behind land expropriation without compensation, has been pinpointed by the white farmers as the major voice perpetrating violence against them. Sometime in May this year, Malema also accused the white people of perpetrating violence in the country. “I have never carried a gun to any march. Fifty thousand people marched from Joburg to Sandton without committing any crime, without shooting a white person, without beating a white person, without blocking roads, marching through roads dictated to them by the police peacefully. “Those people are called fascists, but white people who march all the time in Pretoria, who are against the rules, 99% of them are carrying guns, no single journalist, no single political commentator calls them fascist, yet they are carrying guns,” said Malema earlier. The country’s ruling African National Congress (ANC) has, however, assured South Africans that land expropriation without compensation would be done responsibly, adding that they were following in the footsteps of other revolutionary countries that still have flourishing economies. Convener of the ANC task team in the KwaZulu Natal province, Mike Mabuyakhulu said taking land without compensation was one of the methods of land acquisition that was used in the revolutionary land reforms of France, Russia, Eastern Europe, China and Cuba. “If not managed appropriately, there could be many undesirable consequences and, because we are forewarned, we will go in with our eyes wide open and manage it responsibly,” he said. Mabuyakhulu added that informal settlements springing up in urban areas indicate the dire need for land reform. “We are forthright with our approach. In some instances, it may land us in the courts but if the constitution is amended, we can move faster and remove the unnecessary impediments towards land reform,” he said. Picture: iStock. Image for illustration only. The farmer allegedly opened fire on the police after a violent dispute about some goats. A shoot-out occurred on Monday morning between an elderly farmer and police in the Bergville area in KwaZulu-Natal, reports the Ladysmith Gazette. Heavily armed police officers, together with an SAPS hostage negotiator, entered the farm just outside the Bergville, Geluksburg, area. The farmer allegedly opened fire on police, who dived for cover. 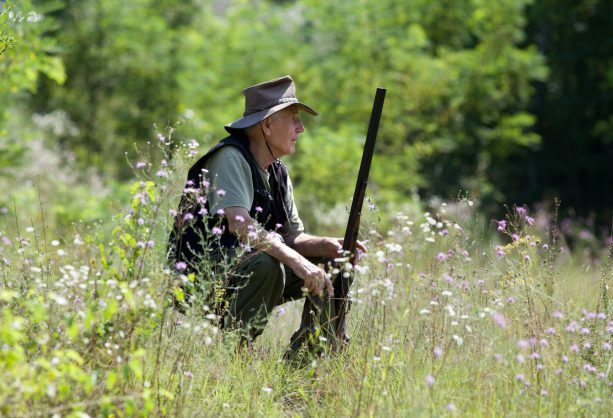 A shoot-out between the officers and the 80-year-old farmer ensued. He was shot dead. Police had responded to a shooting at the farm earlier in the morning. It is believed that a local had entered the farm just before 11am to recover goats allegedly illegally confiscated by the 80-year-old farmer. The farmer opened fire on the man, shooting him in the face. The victim was rushed to hospital and police were called to the scene. When police arrived at the farm, they brought with them a hostage negotiator in an attempt to arrest the farmer for attempted murder. This resulted in the shoot-out. A case of attempted murder had been opened, as well as an inquest docket. Question: “I am a young white South African man living in one of the major cities. Having grown up in a country which is the so-called rainbow nation, the post-apartheid miracle and an example to all other countries that diversity can work. Unfortunately, the reality is that South Africa is a failed state. Crime rates are through the roof, Municipalities are corrupt and bankrupt, school standards are none exciting, and apartheid is still to blame for everything wrong in South Africa. Extreme leftist socialism is on the rising with political parties such as the Economic Freedom Fighters openly calling for the expropriation of land without compensation and calling for the killing of whites. Their leader Julius Malema being just as blood thirsty as warlords such as Idi Amin of Uganda. Going to sleep at night when Julius Malema makes statements like, “When whites arrived in South Africa, they had committed “a black genocide” when blacks were dispossessed of their land. “They found peaceful Africans here. They killed them. They slaughtered them like animals. We are not calling for the slaughtering of white people, at least for now.” Statement which are lies and creates hatred in an already fragile society. The calling for killing of whites falls on deaf ears throughout the world. It seems that the West cannot see or hear what is happening. This hatred is not only found in South Africa but throughout the third world. The third world is pouring into Europe and North America. Seeking to change and destroy the Wests values and ideologies into a socialist society such as South Africa. It seems that the West has forgotten where they came from and has this incredible self-hatred. Calling white people privileged and racist.